until the war started turning sour in late 1942, Hitler was far more popular than the Nazi Party, which quickly grew to be disliked, even despised, by the vast majority of Germans. Regardless of the specifics of the Nazi case, these sorts of rationalizations seem common enough that they deserve a name. We find something like them, for example, in the combination of dissatisfaction with the Venezuelan government and genuine love of Chavez characteristic of many Chavistas even before Chavez’ death; or in the contrast between the apparent popularity of Putin and the unpopularity of much of Russia’s political class and governing apparatus; and perhaps also in the Franco regime, with the disjunction between Franco’s apparent high prestige and the unpopularity of the Falange during the 1940s and 1950s. He later references Brad Delong’s reminder that “the Cossacks work for the Tsar,” implying that Good Tsar Bias requires a peculiar kind of belief structure, one that supports a leader but not the party or the movement that s/he leads. Of course, I cannot help but read this and think of Indonesia. In Indonesia, “Good Tsar Bias” used to go by the term SARS, or Sindrom Aku Rindu Soeharto [= I Miss Soeharto Syndrome]. Soeharto’s former son-in-law Prabowo Subianto, with his soldierly background and a career that was utterly dependent on his personal connections to Soeharto himself, is almost the ideal personification of the Cossack. He was also widely despised by Indonesians during Soeharto’s rule, even seeking asylum in Jordan for a time after Soeharto’s fall. 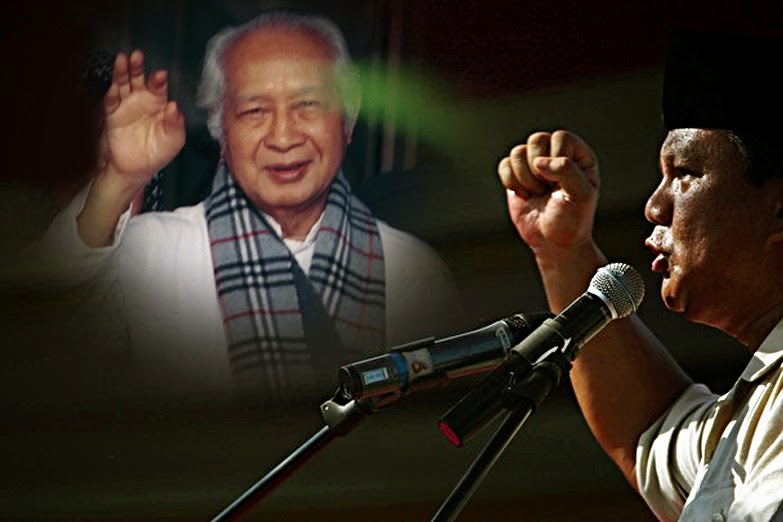 Much like Vladimir Putin has been portrayed as a modern-day Tsar, though, Prabowo sought to portray himself as a modern-day Soeharto. This was almost a winning strategy. Perhaps there is another tendency like Good Tsar Bias—we might call it Bad Cossack Amnesia—that represents the continuation of Good Tsar Bias after the Tsar has been deposed. * The courses were HIST 2 (“Modern European History, 1789-1980,” which no longer seems to exist) and GERM 50 (“20th Century German Culture”, which is now GERM 0500). The other book was Imagined Communities.